Heterochromia is a genetic or acquired eye condition that affects the iris which is the colored area surrounding the black spot pupil , and surrounded by the white sclera. There are three forms of the condition heterochromia: complete, sectoral and central. Complete heterochromia is present when both eyes are a completely different color – most drastically one blue and one brown eye. Complete heterochromia is rare in humans but it can be found in certain animal species like dogs and cats. Sectoral heterochromia is present when one defined section of the iris is a different color – such as a brown section in an otherwise blue iris. Central heterochromia is present when there is an inner ring of color surrounding the pupil that is different from an outer ring of color – such as a gold or brown ring around the pupil in an otherwise blue eye. Genetic heterochromia is an autosomal dominant condition. This means the genetic abnormality must be dominant in just one parent to pass the condition on to a child. Each child of a parent with the dominant trait for heterochromia has a 50% chance of developing the condition. Children who inherit the condition have a 50% chance of passing heterochromia on to their offspring. Children who do not inherit the condition have no chance of passing along heterochromia. Acquired heterochromia is most often caused by injury or illness. Glaucoma, inflammation, neurofibromatosis and Waardenburg syndrome are all known causes of acquired heterochromia. Heterochromia that is passed from parent to child via genetic abnormality is not associated with complications, in most cases. Heterochromia that develops after injury of illness is not necessarily associated with complications, but the underlying cause could be associated with complications. Heterochromia is usually found normally in the population, but may be inherited as autosomal dominant, and more rarely in syndromes such as Waardenburg syndrome with underlying hearing loss and a white forelock being characteristic. 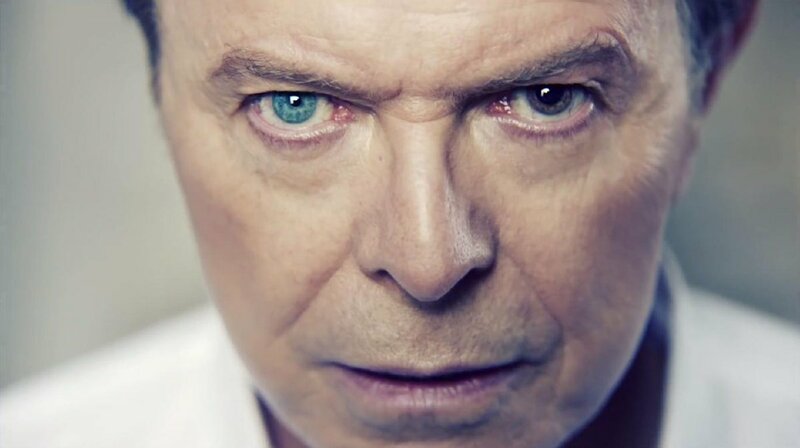 The pop star David Bowie is said to have had heterochromia, as is Mila Kunis, Kate Bosworth, and Elizabeth Berkley. A thorough eye examine is used to diagnose heterochromia. Genetic, blood and diagnostic testing may be used to rule out underlying causes that could result in further health issues. If no underlying cause is determined, the condition requires no treatment. There is no treatment for heterochromia, though there are treatments associated with some underlying causes of acquired heterochromia. Each patient will be diagnosed and treated on an individual basis. With treatment, the condition that caused heterochromia may be resolved, but the change in pigmentation of the iris (heterochromia) will likely remain. Genetic heterochromia and most cases of acquired heterochromia are not associated with reduced lifespan. Heterochromia does not reduce lifespan as a primary condition, though the underlying condition responsible for changes in eye color may affect lifespan, such as neurofibromatosis.